Also called the “statement of intent,” the Statement of Interest is a crucial part of application processes, especially when you are starting a professional chain of conversations. 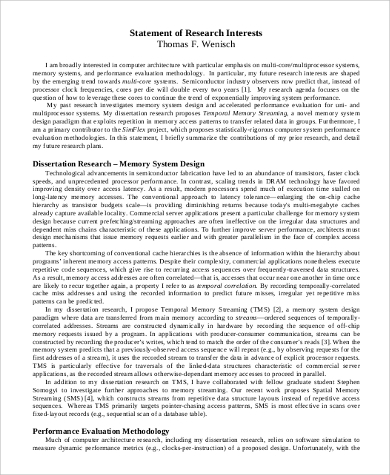 This document is particularly popular among grad school applications wherein candidates try to put forward their intent to pursuing higher education and the reasons they should be selected for particular programs. However, a statement of interest can also come from job applicants, when you are not applying for a vacancy but stating your interest in working for a particular organization. 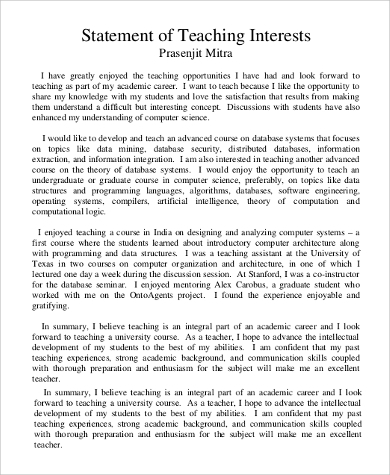 Here are some such Sample Statements that you might want to review. This usually comes from research scholars, Ph.D. students and any other person who is interested in conducting research in a particular field. 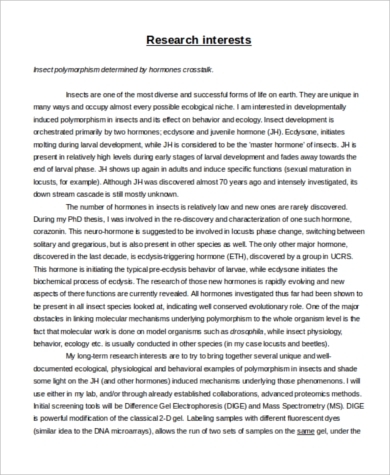 The document should highlight the basic purpose and the means of research. When you are interested in joining a particular organization, a statement of interest is the best way to put your candidature forward, even when there is no vacancy posted as such. The document should, however, highlight the reasons for your interest in the organization/industry and why you are suited for it. Interest statements are however completely different from the statement of interests. 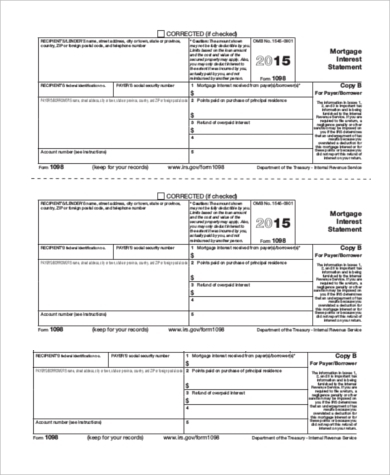 In this case, the document is a bill stating your pending/paid mortgages and the various calculations/taxes associated with it. Who needs to put forward a Statement of Interest? A statement of interest is required by anyone who is looking to apply voluntarily for any position, take up NGO work or apply for research. It will also be applicable if you are interested to know more about a certain person/organization/industry and want its members to help you out in your quest. 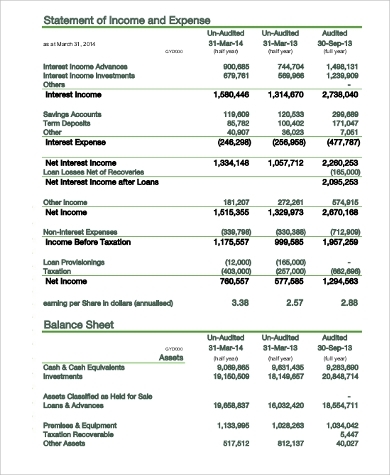 You can also see the Financial Statement Samples. The statement of interest will show why you are particularly interested in the association and what makes you eligible to be permitted for the same. Now, this is a highly generalized document and can apply to a variety of purposes. It suits anything that requires a statement of personal interests in writing and the responsibilities you are willing to bear. 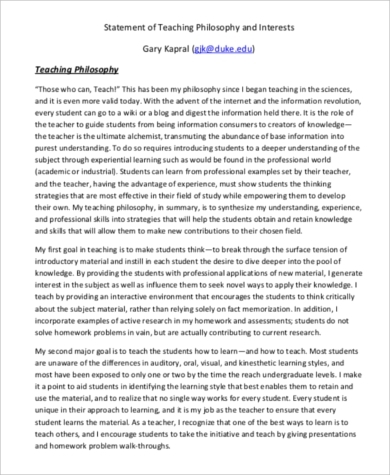 This will be a highly applicable document if you are looking forward to becoming a member of the teaching faculty in any particular institution. Apart from the reasons about your interests, you must also highlight your eligibility for the requested position. Who should you address your Statement of Interest to? A Statement Samples should be put forward to authorities that have the capacity to grant permission or meet the needs of the application. If your application is for a job or internship, it should be addressed to the project managers, HRs or the CEO, whoever is overseeing the recruitments. 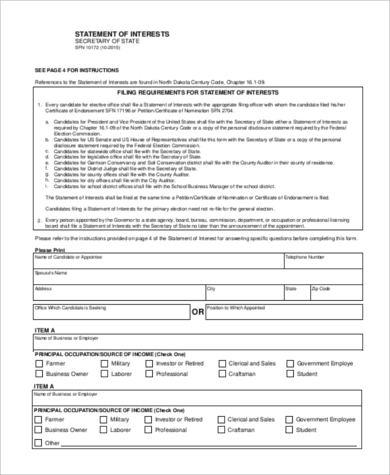 If your application is about some research, the statement of interest should be taken to someone who is managing the person/organization or has a good hold in the industry. Consequently, a statement of interest is also best supported by strong references. All the above Statement of Purpose Samples are offered as.PDF files and can be easily downloaded for your reference. However, you must take note that these are not intended to act as direct letters meeting your specific purposes. 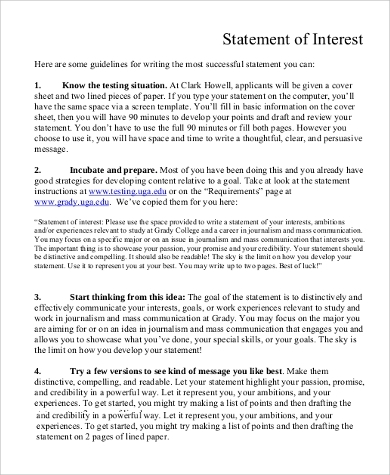 Personalization is the key to success when writing a statement of interest letter.